valeri20	 04-06-2019 Pending - 1/0 Sent LOR, SASE, and 2019 Donruss Racing card. Poormans Stack	 11-24-2018 12-11-2018 Success 17 4/5 Signed 4 cards in black marker plus returned my letter with "Thanks for Asking" on it. Thanks Mr. Waltrip. SteelerFan4Life68	 12-18-2017 01-26-2018 Success 39 2/2 Signed both of my cards in Black. Thanks Mr. Waltrip !! Sethkaplan1	 07-22-2017 08-10-2017 Success 19 2/1 i sent a 5x7 and Premium '03 card, he signed card but not the picture, but still happy. 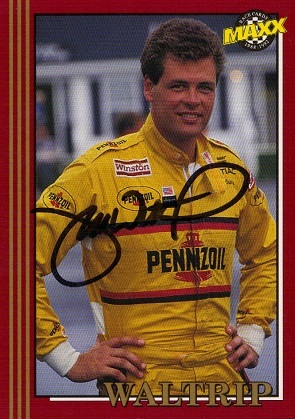 Thanks Mr. Waltrip! SyxxSynse	 05-13-2017 07-05-2017 Success 53 1/1 Signed my '91 MAXX card. 53 days. Thanks, Mr. Waltrip! SyxxSynse	 03-20-2017 04-17-2017 Success 28 2/1 Signed my '94 Upper Deck card. Did not sign my '91 MAXX. 28 days. Thanks, Mr. Waltrip! Stebbins25	 03-01-2017 03-13-2017 Success 12 3/1 He signed the card I sent but didn't sign the 2 index cards. I'm still happy. dunkanarchy	 11-02-2015 12-14-2015 Success 42 3/3 Signed all 3 cards I sent in blue sharpie. Thank you Mr. Waltrip! 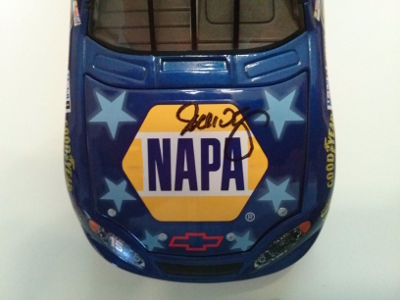 SyxxSynse	 03-16-2015 04-12-2015 Success 27 1/1 Sent diecast hood. 27 days. Thanks, Mr. Waltrip! turbo49er	 02-07-2014 03-31-2014 Success 52 2/2 Sent 2 8x10s to Michael! Signed both of them! Took 52 days! They look great! Thanks Michael! 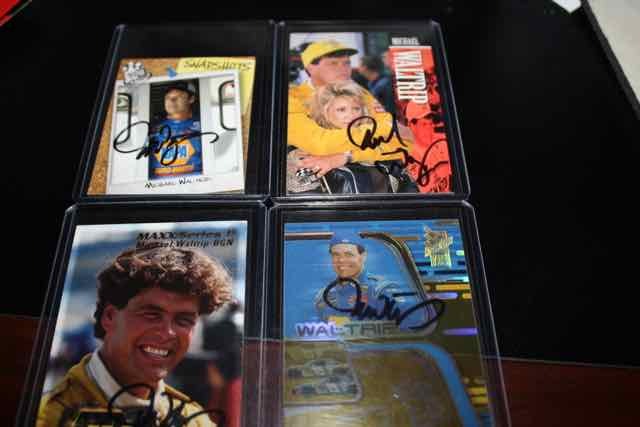 racer48racer	 03-30-2013 08-26-2013 Success 149 0/1 Sent an SASE and got 1 Autographed Hero Card back. justinw182	 03-12-2013 04-11-2013 Success 30 2/2 Signed a 2013 Press Pass and 2010 Press Pass in 30 Days. Pmurdick25	 12-04-2012 12-17-2012 Success 13 1/1 Sent a trading card and a request for silver marker autograph... Didn't sign in silver but the black came out great. justinw182	 04-05-2012 04-28-2012 Success 23 2/2 Recieved both of my trading cards back and signed in 23 Days! 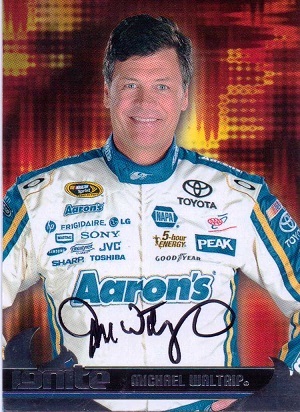 bcommerce	 12-11-2011 01-21-2012 Success 41 6/4 Sent 4 Cards and 2 IC recieved all cards back signed plus a Rusty Wallace card that must have stuck to the back of one of Michales when i sent it. OOPS!!! Pmurdick25	 10-06-2011 11-08-2011 Success 33 2/1 Sent a trading card and a pack filler...He signed the card but not the pack filler. Nice success! Riggs	 05-18-2011 07-02-2011 Success 45 3/3 Great signer, Very pleased about this return!! Dannyboy2452	 08-04-2018 09-06-2018 Success 33 3/3 Sent 3 TC all 3 came back signed thanks Michael! !